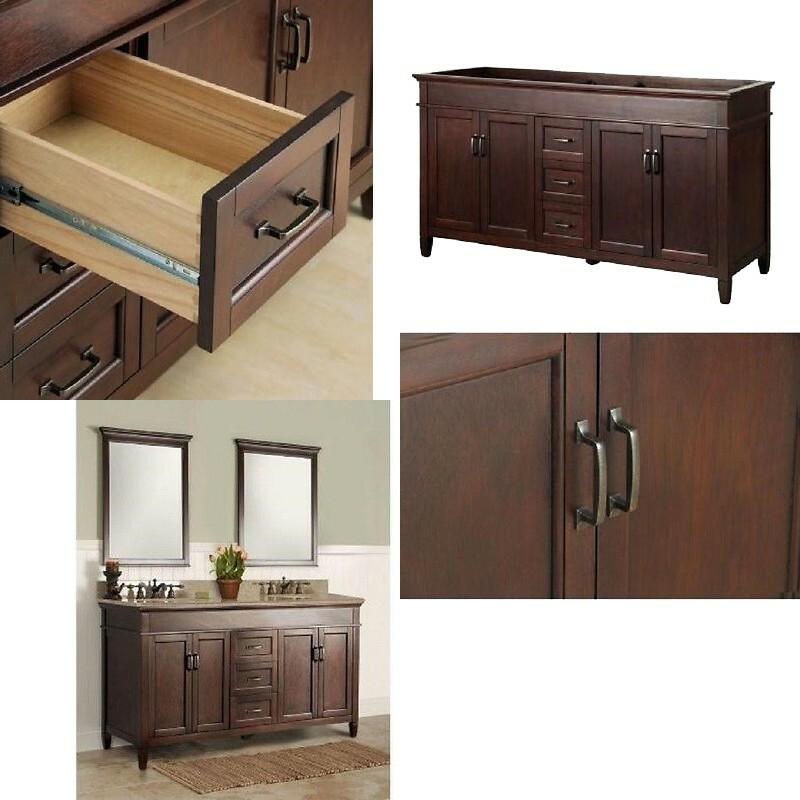 Free Shipping - This Foremost Ash burn 60". Vanity Cabinet Only in Mahogany has a large interior storage area and 3 smooth-opening drawers that offer versatile options for storing towel, bottles and other bathroom and salon hold items. 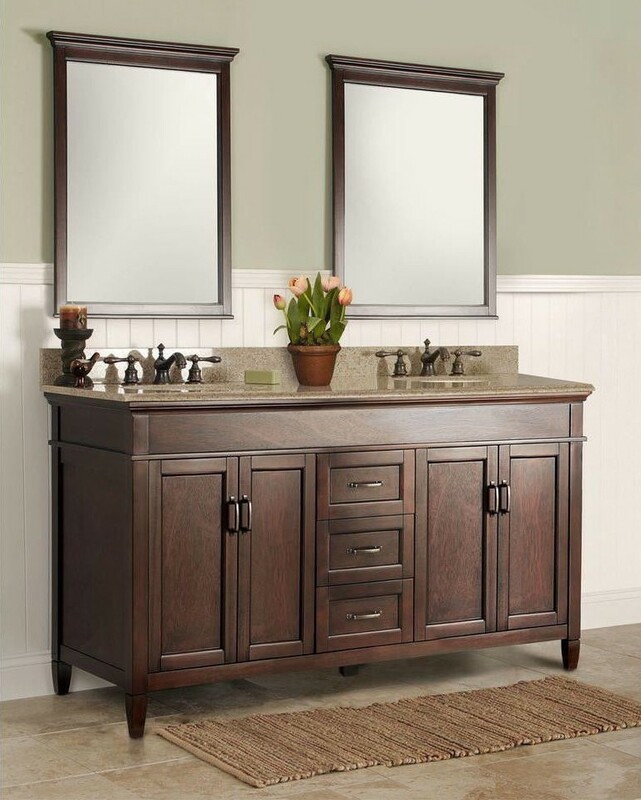 Made with solid wood, natural wood veneers and clean, low-emission engineered wood, this sturdy vanity cabinet is finished in a rich mahogany color and decoratively accented with rectangular oil-rubbed bronze hardware.